We wandered around Ambonnay, looking for open small producers, and this one had a shop frontage… which turned out to be an extension of the family home. The wife (with 18 month-old) gave us a tasting. 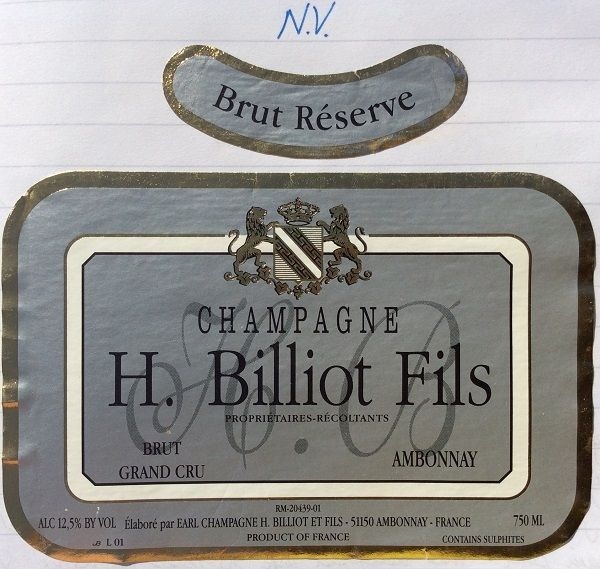 The basic NV wasn’t up to much, but the Brut Réserve was a cut above, and a pleasant, elegant Champagne. Whilst I wouldn’t necessarily go out of my way to look these guys up again, I wouldn’t be disappointed to be served Billiot’s wines.